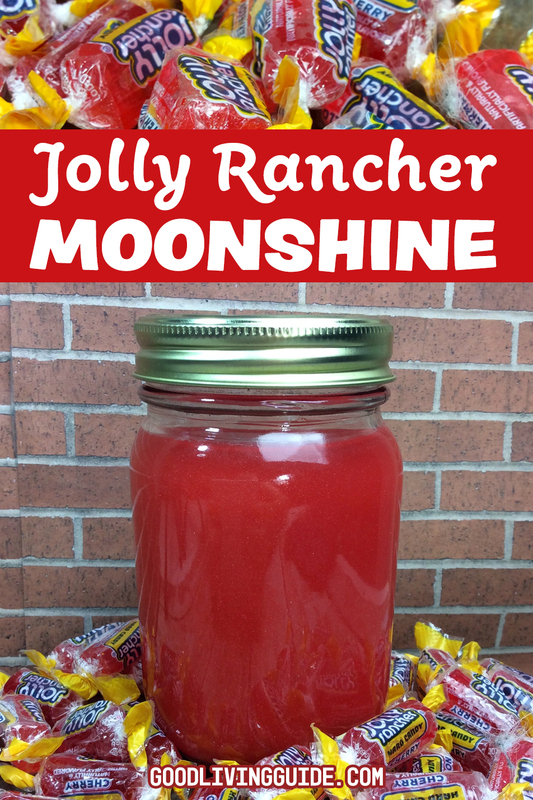 This Jolly Rancher Moonshine Recipe was inspired by my all-time favorite piece of hard candy! What could be better than a smooth drink that tastes like liquid Jolly Ranchers? Not only is it an easy and inexpensive recipe for you to enjoy yourself, but it also makes for a perfect homemade gift to friends and family! Unwrap the Cherry Jolly ranchers and place into the mason jars. Fill the jars half way with the Everclear. Pour in 1/4 C of Grenadine. Top off with a little bit of Sprite. 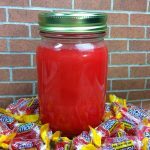 Let sit for 8-10 hours or until the Jolly Ranchers have fully dissolved. Add in 1/3 of the Edible Pearl Dust. 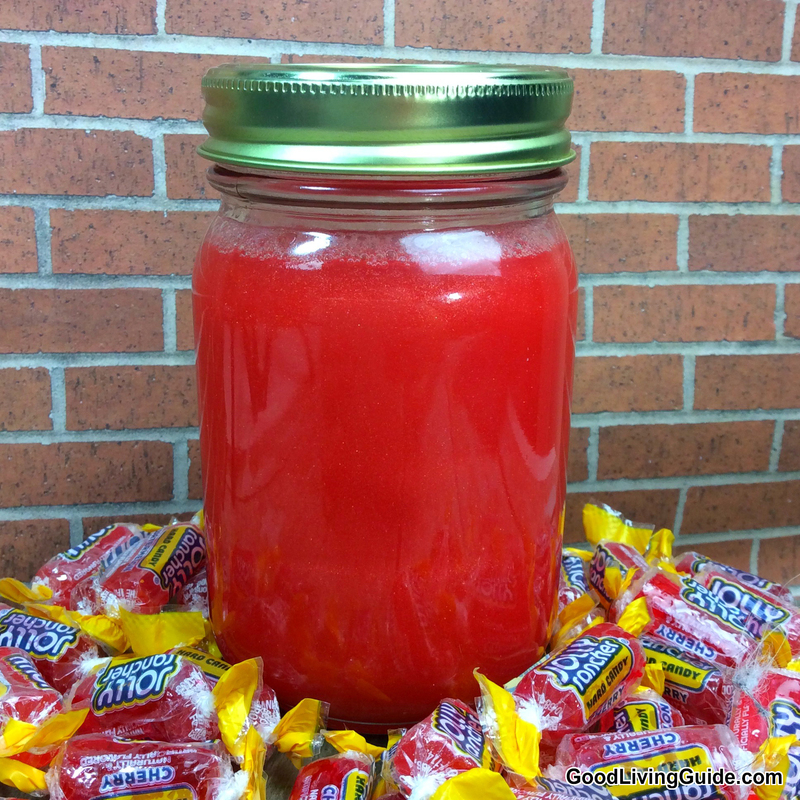 We hope you enjoy this high proof mix of Jolly Rancher deliciousness. In our opinion, there’s not a better way to have a legal moonshine experience without needing a lot of technical knowledge about distillation and fermentation. In our opinion, Jolly Rancher Moonshine tastes much better with age! It was yummy at 2 weeks….but at 4 weeks it was heavenly! So be sure to make your moonshine a few weeks ahead of any big event or holiday for optimum flavor. NOTE: Jolly Rancher Moonshine contains more alcohol than it tastes like so please exercise caution and moderation while consuming.